Scholarship circular 2019 will be publish soon. Bank Asia provides higher scholarship to rural poor meritorious students, who are studying in important subjects in public universities. The students who passed in the HSC 2018 examination and now are studying in various institutions of the country at different fields like as medical, engineering, agriculture, business studies, economics, chemistry, mathematics etc. are eligible for applying for this scholarship. Bank Asia Scholarship 2017, 2018 Result has been published. Those who do not get this scholarship result yet, please contact at the following address. 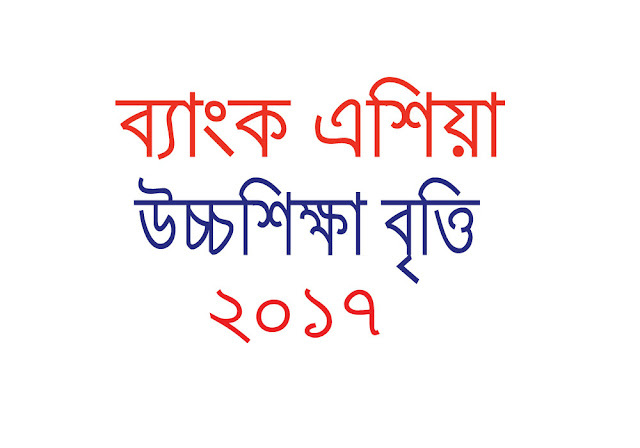 Munsigonj, Dhaka, Gazipur, Noakhali, Lakkhipur, Kishorgonj, Sylhet, Pabna, Sunamgonj, Norsingdi, Chandpur, Nowgaon, Gopalgonj, Comilla and Bramhombaria. The students have to pass in HSC in 2016 and have to study in any public university, college or institution. The student’s family income should be less than 15,000 taka per month. 4 to 5 years as his graduation life. Application form: The students should have to apply in a fixed application form which can be collect from any local Bank Asia Branch. Last date of application: 31 July, 2017.